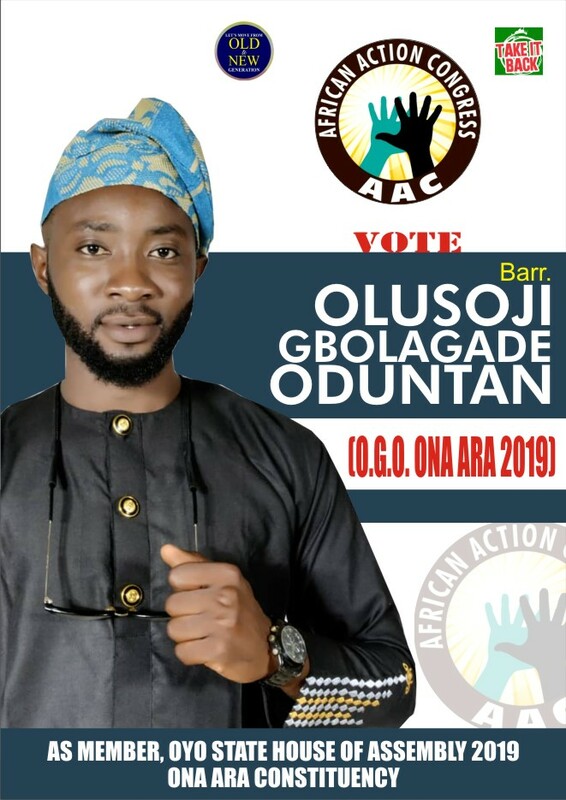 Olusoji Oduntan is one of such candidates who has taken the opportunity of the Not Too Young To Run Bill to take up a political office. 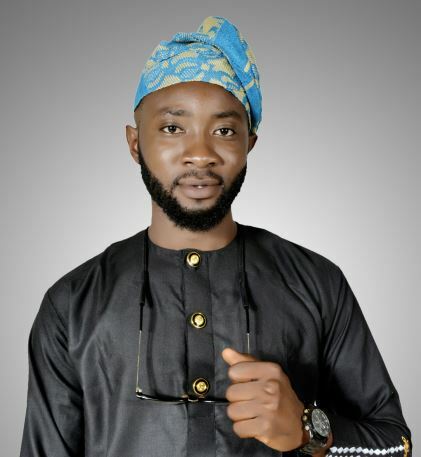 Oduntan is contesting to be an Oyo State House of Assembly Member – Ona-Ara Constituency. What informed your decision to run for office? Did the Not Too Young To Run Bill have anything to do with it? I’ve always liked to participate in politics because it’s an avenue for every citizen to contribute their quota to the development of the country. I was an Honourable Member, Law Students Parliamentary Council in Olabaisi Onabanjo University as well as the Chief Justice of the School. It’s just that the Not Too Young to Run Bill gave me the opportunity to run next year. I believe that the beauty of democracy is the enlargement of the political space in which everybody is free to participate, bring and exchange ideas, and disagree in order to agree. We have been condemning those we have been electing for a while now without any changes, it is now up to us since we have the opportunity, those of us who wish to shape the destiny of our country to do what we can to improve matters. To me, mere condemnations are not enough. What is your primary reason for running? I considered how bad the state of things are in my Constituency after 19 years of uninterrupted democracy. I noticed with keen interest that my people lack better and qualitative representation in the State House of Assembly and that is possibly the reason we have not had so much from the State Government for the past 19 years of uninterrupted democracy. It is visible to the blind that we don’t have any good thing to point at as dividends of democracy in my Local Government for the past 19 years and this is the reason I decided to run when there is opportunity to do so. Do you honestly believe that you are the most qualified for the position you are running for? Yes, I sincerely believe I’m the best Candidate for the job with my level of exposure, willingness to have positive impact at any gathering I find myself. It is worthy to note that being a member of a House of Assembly is where adequate representation emanates from. It is the primary stage of delivering to your constituents at the state level. I have the belief that as a youth, lawyer and potential lawmaker at the state level, I will never leave our Local Government/Constituency the way I met it if I emerge as the winner. Do you think the public would lose a valuable, knowledgeable political leader if you were not running in the 2019 elections? I don’t believe in such thought, I once said Nigeria is blessed with many thoughtful men and women of conscience, large number of talented people. It’s a pity that all these patriots make so little impact in our dear country. It is our duty as citizens to lead the way in their discovery and to create an atmosphere conducive to their emergence. Which is more important to you? Godfathers or building structures? As for me, I don’t believe in godfatherism and that what’s I’ve been working against since I came out to contest. I believe in building structures. Before now, how have you reached out to people in the grassroots in terms on improving their lives? I don’t need to praise myself here, but I have been making sure I contributed to people’s lives positively whenever there was need for it. Many youth and younger ones in the Local Government can testify to this. Why do you think there is low representation of young people in political offices? One of the issues that has dominated political discourse in the country in recent times is the need to give more opportunity and chance to the Nigerian youth. That is, removing restriction(s) that would inhibit the youth from participating in politics. There is a shortage of youth participation in politics in many African countries including Nigeria. And I wonder why. Is it because of disempowerment? Is it because of alienation? Is it because of fear of participation? Or because there is a perception that participating will not matter or because we feel we are unworthy, I am not really sure why. But my answer to those questions aren’t far fetched; I know we are worthy and aren’t afraid of participating in politics but we chose to neglect it because of the way elderly people in the society have personalised Political Parties making it difficult for youth to have a say in our politics. Also, finance is always the problem for youth to come into politics because of the way the leaders have bastardized the concept called “politics”. The first thing is to be given the chance to participate in politics and I believe that it won’t be difficult for youth to have a say in decision making. Policy influence is for every Nigerian citizen elected for any position by his people, in as much he has met the required age to contest. To participate and have say in any decision by the government should not be a problem if he is indeed representing the interest of his people. Youth in government will have every right the same way the older ones in government have as we all derived same rights from the Constitution. What are those particular things you hope to achieve if you eventually win the election? 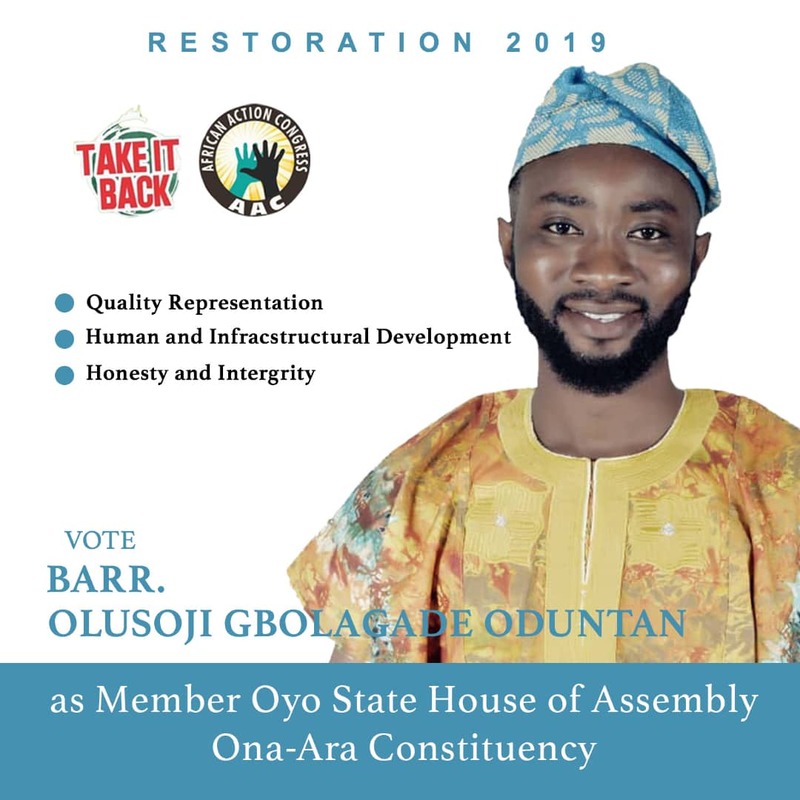 It is without an iota of doubt that Ona Ara politics has been dominated by a set of people from time immemorial, therefore, the masses have had to endure series of hardship and lack of basic amenities. My mission is to forge and foster a cordial relationship between the constituents and their representative in the House. To achieve this mission, I promise that my utmost priority is to create people-oriented programs and policies that would bring about prosperity and self-reliance so we won’t be saying we are still in the era we complained about. I promise that I will give the Constituency a better, qualitative, proper, functional and responsive representation in the State House of Assembly. On the context of giving my constituency better representation in the State Assembly I will make sure the state government realises how important our local government is, by sponsoring bills that will portray our agenda. I hope to bring peace and development to our community through: Education, Participatory, Agriculture, Facilitation of good roads, Youth Empowerment, Empowerment of petty traders, Pressurising the Executive Arm of Government to create more job opportunities, Widows Aid Program, Sports and Open Door Feed Back Initiative. It is election and it is high time we took it that it’s only one candidate that will emerge as the winner of any election. As a well known ex-footballer in the Local Government, I sincerely know how it feels to be on the losing side because it has happened to me several times. I will move on and continue to contribute anything positively for the development of the Local Government. What advice would you give to the average millennial who faces uncertainty with getting into politics? Comment: nice interview, but please if you win don’t forget all your promises, because that’s the problem our old politician have. Why are politicians receiving “free” nomination forms from support groups?